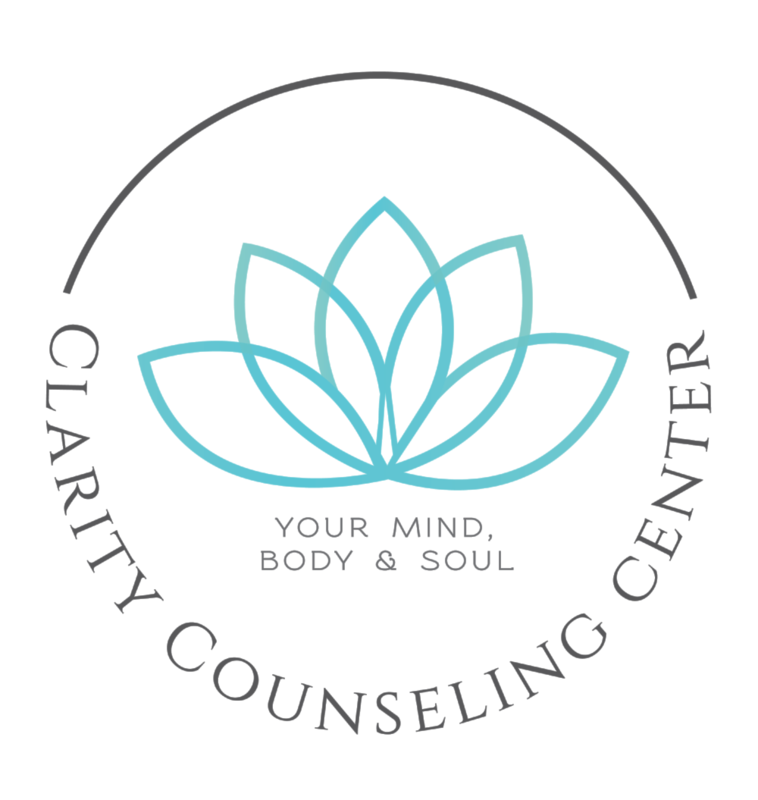 Clarity Counseling Center is a Wilmington, NC based practice. Our “Meet the Therapists” series is intended to take a closer look into each therapist's background, values, experiences, and treatment orientation. In this series, we put therapists on the couch to learn who they are and why they do what they do. In this post I'll be interviewing Clarity therapist Becky O'Dell . Q. How did you first become interested in your your particular field? A. I have always been sensitive and aware of other’s moods and emotions. I was raised in an Irish Catholic family where you didn’t talk about emotions and being sensitive was a negative attribute. I knew I wanted to help others process emotions and learn healthy coping skills without judgement. I wanted to tech people experiencing emotions is healthy and productive. I have always had a natural rapport with people, especially children. Having gone through my own struggles I wanted to help others in similar situations. My parents divorced when I was nine years old and there was a lot of dysfunction in my family. I've done a lot of work on myself and believe in the power of therapy. My experience allow me to content with children going through similar things. I'm able to very quickly identify the needs of children and parents working through separation, divorce, or dysfunction. A. I am passionate about the power of play and work with birth - 11 years old using Play Therapy. In my play therapy sessions children learn to process through feelings and gain a personal awareness. Sometimes play is guided by the therapist and sometimes children lead the play. Children have choices and gain confidence, boundaries and awareness through play. My playroom is equipped with a selection of specifically chosen toys that are meant to encourage the child to express his or her feelings (miniature figurines, art materials, Legos, stuffed animals, dolls, a dollhouse with miniature furniture, puppets, and more.) I also incorporate the use of tools and techniques such as therapeutic storytelling, drama/role play, and creative visualization. The child’s interactions with these toys essentially serve as the child’s symbolic words. This allows me to learn about specific thoughts and emotions that a child may find difficult or impossible to express using words. I love working with children who have experienced family changes such as divorce, loss and blended families. I am passionate about working with children with ADHD and other behavioral issues such as anger management at school and home. I also utilize Trauma Focused Cognitive Behavioral Therapy (TFCBT) to work with children who have experienced abuse and neglect. Another one of my specialties is working with pre-teens and moms coping with life adjustment such as divorce, separation, break ups, depression, bullying issues at school, and grief and loss. I use CBT based sessions and learning materials to explore at home. I want my clients to feel safe and comfortable identifying and processing their emotions. A. The most rewarding part of my job is seeing the relief children experience through sessions. Also, watching families improve communication styles, learn to reflect, and allow themselves to be vulnerable. I am honored to be a part of their journey. Q. What is the most difficult part of your work? A. The most difficult part of my work is watching a child process anger and frustration in the playroom can be difficult to observe. You see how vulnerable a children are. Q. If every potential therapy client were listening what would you want them to know? A. To Children: It is simply a feeling, it will pass, you will be okay. Comparison is a thief of joy. The best apology is changed behavior. To Parents: Slow down, join your children in play. It’s okay to let the your child lead the play. Empathize and reflect. Change is a process not an event. You can’t correct what you aren’t willing to confront. If you do talk keep it to 10 words or less for younger children. Provide healthy boundaries. A. My future plans are to continue to as a counselor and volunteer. Serving others through grace is one of my life goals. Q. What is the most impactful work you've done? A. That's tough one, the most impactful work I've done is working with children that have experienced trauma through abuse and neglect through. A. The most important things to look for in a therapist are good rapport, feeling safe, and making sure they are an expert in the issues you're expierencing. To learn more about Becky O'Dell or schedule and appointment click here.